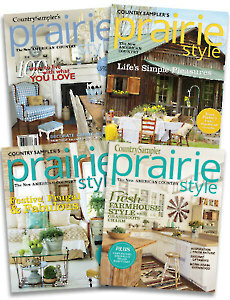 Save 70% off the cover price when you order this special 4-pack collection of Country Sampler's Prairie Style issues. Discover windswept prairie homes, farmhouse decorating and inspiring locales. Meet modern pioneers who are working with nature’s beauty. Get inspired by touring casual, creative homes that speak to the heart. Plus, cozy cabins and vintage country farmhouses, backyard farm pets, and mouthwatering recipes for down-home goodness! 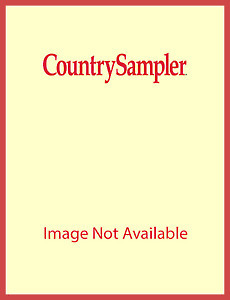 Includes issues: Country Sampler’s Prairie Style Spring 2014, Spring 2015, Winter 2015 and Summer 2017. We reserve the right to substitute for out-of-stock items.